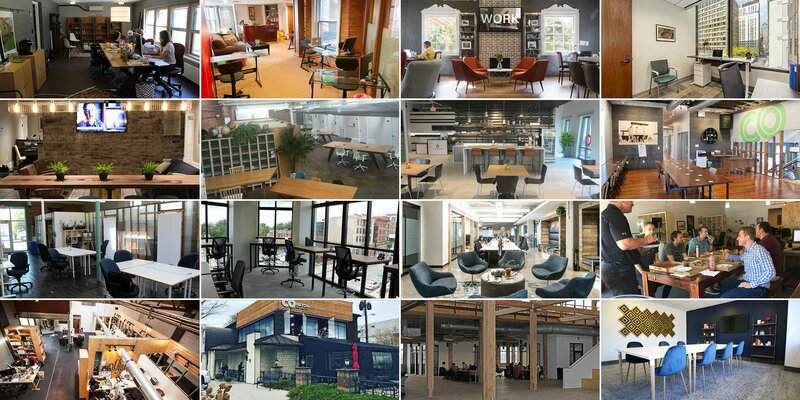 Whether you need a space to pop in a few days a month or a private office you can access around the clock, there’s something for every entrepreneur at Columbus’ vast network of coworking and creative office spaces. The flexibility afforded by non-traditional office spaces can get freelancers off their couch, small businesses into their first office, or even help major corporations explore new markets. As the gig economy continues to grow, so does coworking. Small, locally-owned operations to national chains dot the Central Ohio landscape from the heart of Downtown, to Columbus’ suburbs and beyond. Affordable options can support a side hustle, while more professional spaces can take a business’ operations to the next level. Entrepreneurs can find the space and set up that suits their work style. Coworking also comes with a built-in community, with many spaces offering events and amenities to connect with fellow coworkers.